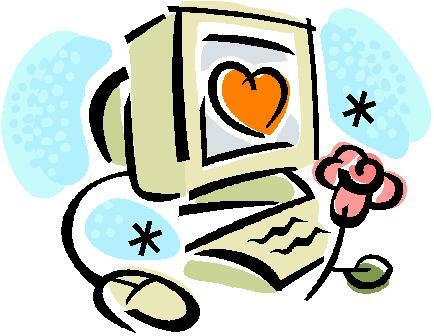 My cyberpal Allie was kind enough to give me a shout-out in her blog yesterday. So I'm returning the favor. It's officially a lovefest! ﻿Here's how it went down. Allie was traumatized by the death of a character in the last "Sisterhood of the Traveling Pants" book. I commented that I never got over the death of Beth in Little Women. Then she was kind enough to post a link to her commentary about the book, and she even named her post after me! Which basically ruined my evening, because the only thing to which I have a worse reaction than criticism is praise. Seriously, I took to my bed with the vapors. If I'm ever going to be a world-famous writer, I'm going to have to my practice my smug, condescending author persona a lot more. Anyway, read Allie's post about Little Women, because it's pretty darn fabulous. In fact, her whole blog is really entertaining. Check it out. Here's the thing: I worship Little Women. I can't tell you how many times I've read it over the years. When I was a kid I really identified with Jo March, the opinionated, socially awkward tomboy writer. Er...when I was a kid, that is. Yep. I'm past that now. Whoo-boy. Except I totally would have gone for Laurie. Still would. Little Women is one in a long line of books I loved as a kid that featured heroines who were aspiring writers. 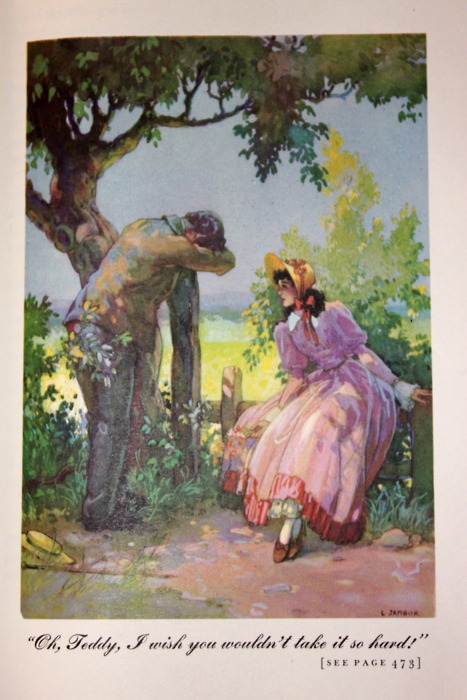 Betsy Ray in the Betsy-Tacy books. Harriet the Spy. Laura Ingalls Wilder (it's never mentioned that she's a writer in the "Little House" books, but of course she grew up to write them, with herself as the main character.) 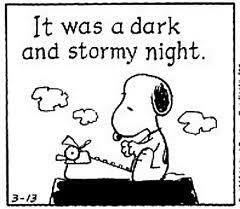 And let's not forget Snoopy - he made me want to be a writer as much as anyone else. ﻿So while I thought Allie's Little Women post was hilarious, I have to say the book is beyond snark for me. In fact, now I want to read it again, even though it would mean putting aside Suzanne Collins' Catching Fire, which I'm reading at an absolute snail's pace because my elves are failing to clean the house for me and leave bags of money at my door every morning. I'll add it to the queue of Things I Want to Do, right behind Put Up Kitchen Backsplash but just before Get Mammogram. I'll get to it, really. No, really. Aw, thanks, sister! I really do love Little Women - it's the first thing I put on my Kindle. I have NOT downloaded Little Women and Werewolves, but it's tempting. I recommend a book by Lizzie Skurnick called Shelf Discovery: The Teen Classics We Never Stopped Reading. Thanks for the plug, though. Oh, and PS - Any Jo wannabe worth her crop of chestnut hair would have said yes to Teddy. Epic fail! Thanks for the post-I too was a Betsy-Tacy fan!